American pro-family advocate Peter LaBarbera and his Canadian Christian host Bill Whatcott have reportedly been arrested in Regina, Saskatchewan. It is believed that biblical “hate speech” may be the charge. 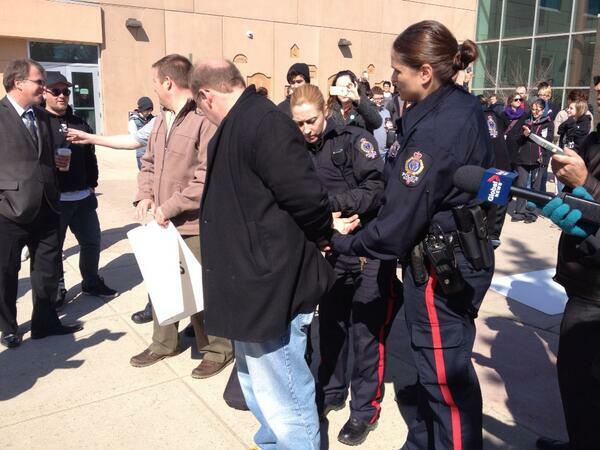 Canadian radio station CJME has further, liberally biased details: Peter LaBarbera, the controversial head of an American lobby group that has been labelled a hate group by the South (ern) Poverty Law Center, and Bill Whatcott, an abortion activist who has a history of legal troubles in Saskatchewan, were taken into custody by the Regina Police Service. News Talk Radio’s Kevin Martel observed police officers tell the two to leave the school’s campus or risk being arrested; after some discussion the men refused to move and were arrested for trespassing. LaBarbera and Whatcott were in Weyburn over the weekend to speak at a pro-life conference. They were at the school attempting to hand out anti-abortion and anti-gay pamphlets, flanked by large placards depicting aborted fetuses. 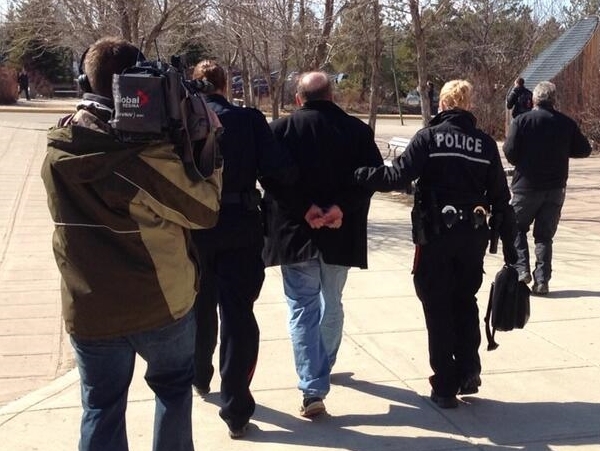 It isn’t the first time Whatcott has been in trouble with the law in Saskatchewan. Several human rights complaints were filed against him after he handed out anti-gay pamphlets more than a dozen years ago. The case went all the way to the Supreme Court of Canada, which found Whatcott has violated the province’s Human Rights Code. He was ordered to pay a fine of $7,500. @mairhart I guess the relevant question is, do YOU support free speech for @PeterLaBarbera and all others, or just for those you agree with? @RoyceCopley @speaktruth22 @VoVChrisDoyle Peter LaBarbera opposes free speech. Free speech does not include a blanket right to defame. @RoyceCopley @speaktruth22 @VoVChrisDoyle Chris Doyle refuses thus far to defend human rights OR free speech. For the record, I support human rights AND free speech. However, I do not support special rights for some at the expense of free speech for others. This is apparently what the Canadian Human Rights Code entails, not that I am an expert on Canadian law. While I cannot defend or verify Labarbera’s positions on all of the accusations that Airhart makes, I do not believe Labarbera and Whatcott posed any significant threat to the LGBT community in Canada, nor is Airhart’s claims of defamation accurate. This entry was posted in Uncategorized on 2014-04-15 by VoV Contributor.